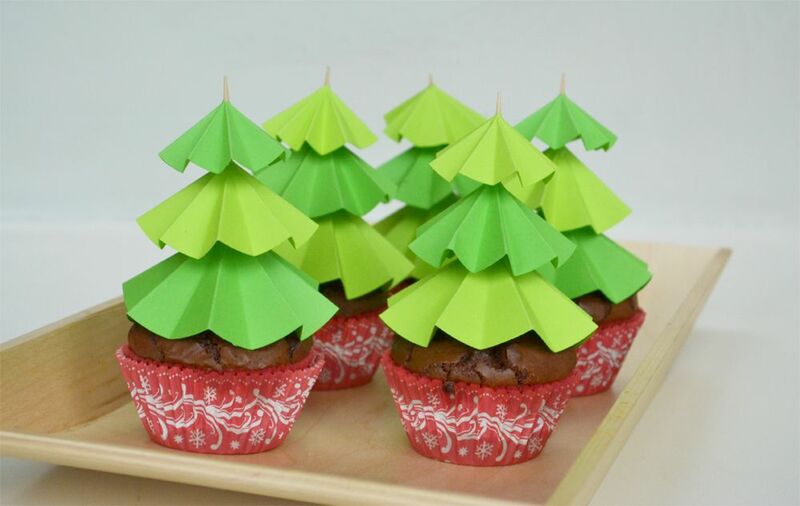 If you need an easy DIY to top your sweet treats this holiday season, check out these Christmas tree-inspired cupcake toppers! It not only looks adorable atop these brownies, but they are great for any guest to take home after a holiday party. 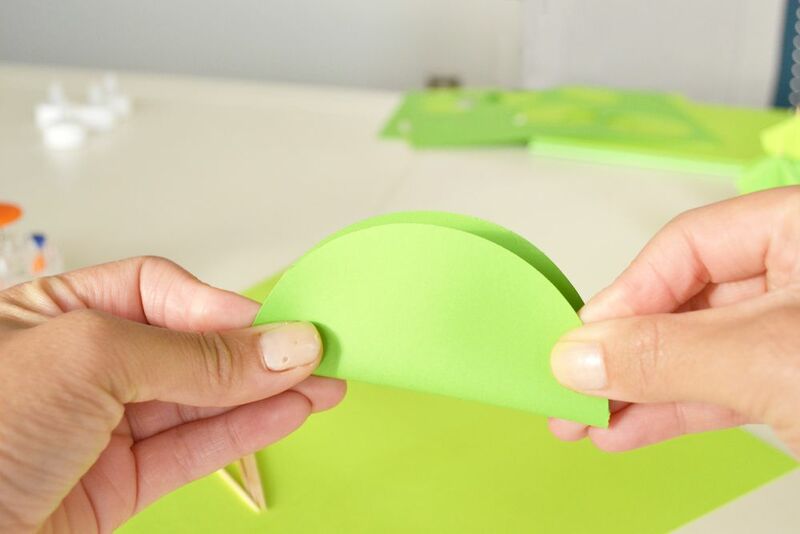 Using the circle cutter, create three circles in six, eight, and ten inches on green cardstock. 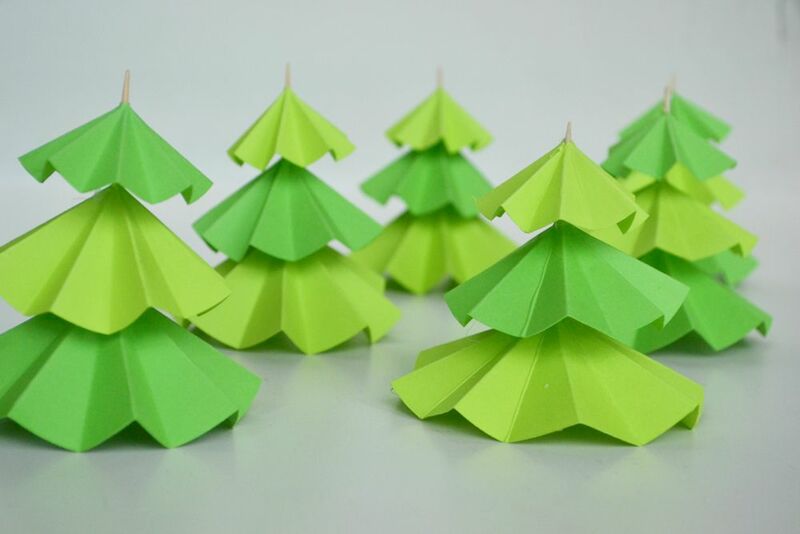 Here I’ve used two types of green card stock just to give the trees a bit of dimension. 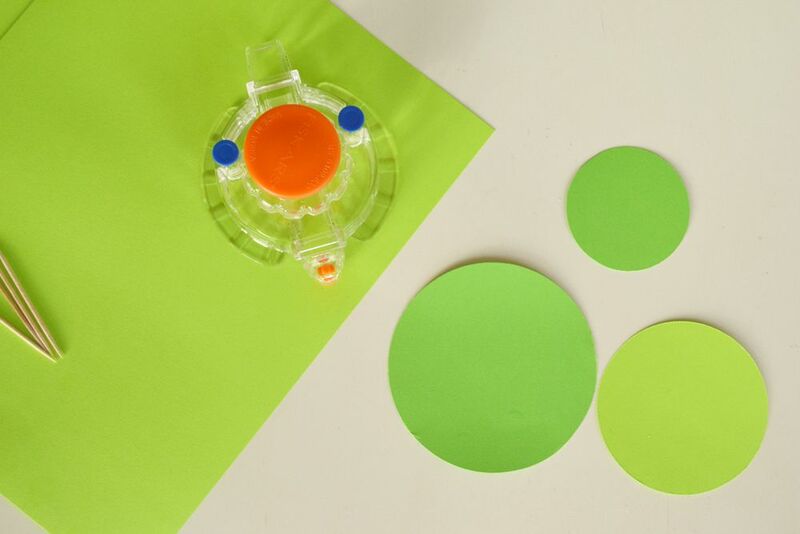 If you don’t have a circle cutter, you can create circles by tracing around three cups that are a different size and cut them out. Be sure to cut on a cutting mat or board to protect your surface. 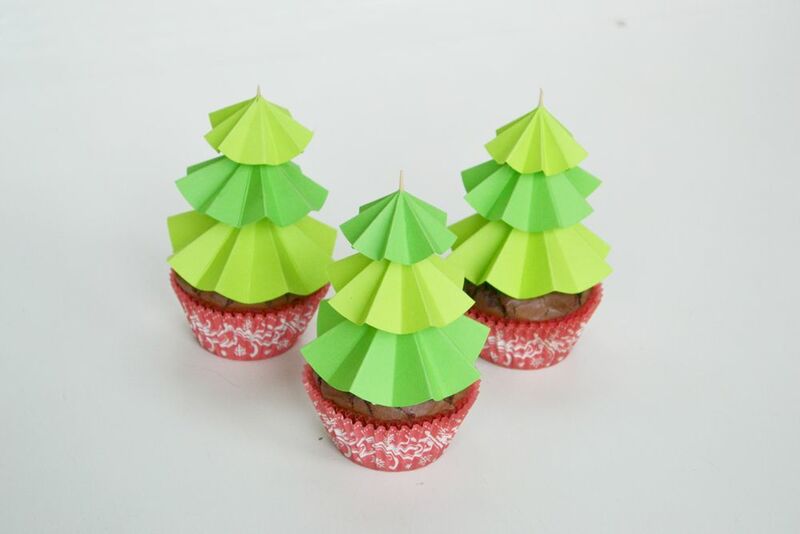 You can opt to cut smaller circles if you want, though the trees will be slightly smaller on top of the cupcake. Just note that it will probably be a bit harder to fold the smaller you go. Start folding the circle in equal halves. 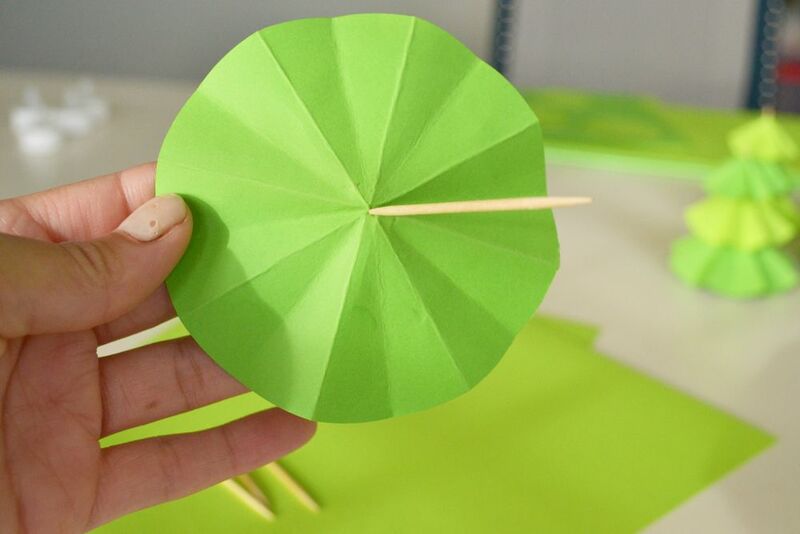 Fold it in half four times on one side, for eight triangular sections, and flip the circle over and then fold it four times in half on the other side, being sure to line up the creases as you fold. 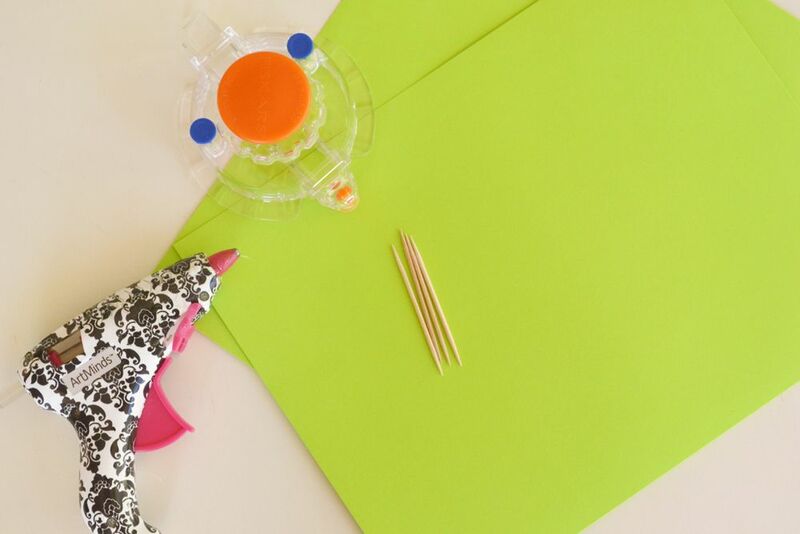 Use a paper scorer or bone folder if needed to make sharp, crisp lines. 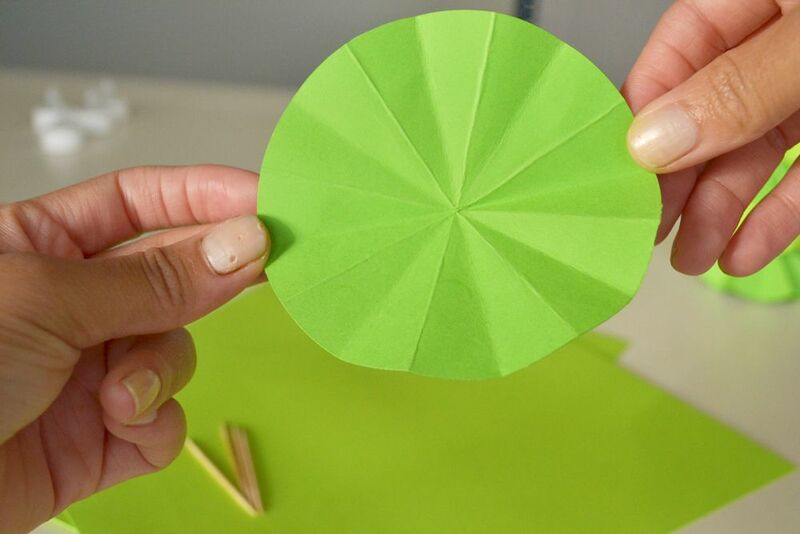 After folding, you should have sixteen triangular, folded sections in your circle. 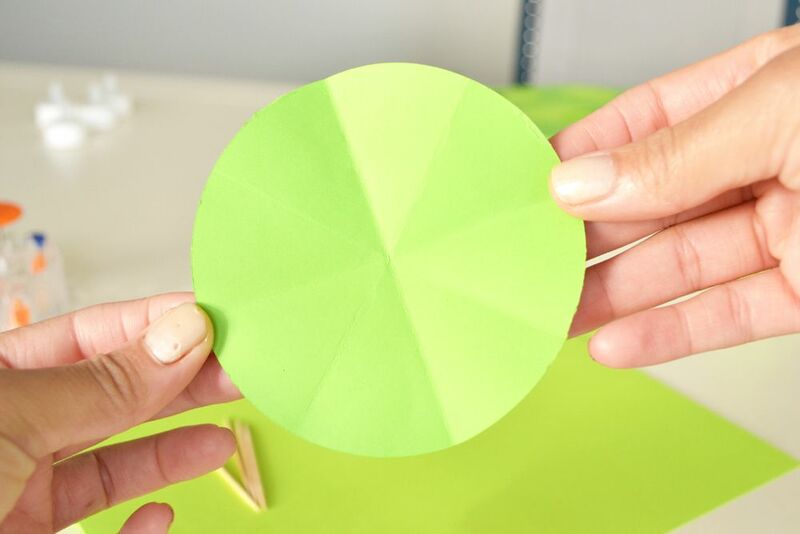 Flipping the circle over and folding in the opposite direction helps it lay with a fan-like appearance. 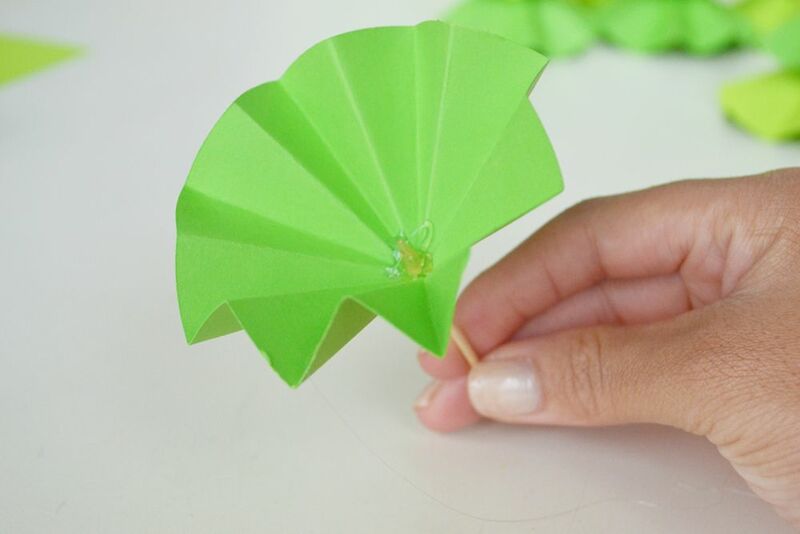 Create a small hole in the center of the fanned circle with a tack or toothpick. Dab a bead of hot glue in the center of the larger circle and slide it all the way down the toothpick. Hold the toothpick with the circle base upright until the glue dries, making sure the fanned circle doesn’t tilt to one side or the other. Once the glue has dried, repeat this step with the two smaller circles. Be sure to keep some space between the three circles (as much or as little as you desire). 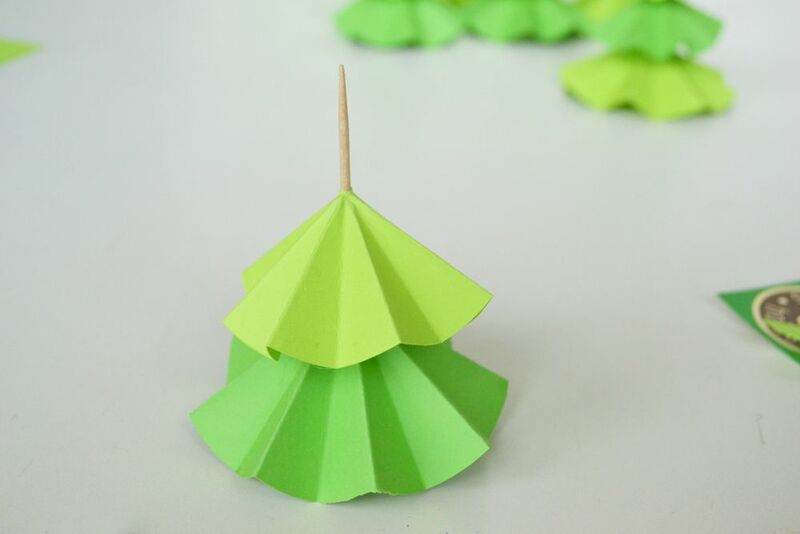 At the top of the toothpick you can leave it as is or add a small bead or star as a tiny tree topper. Remember to pull any strings of hot glue from the Christmas tree toppers before placing them on your food. Add a bit of icing to your cupcakes to stabilize them. 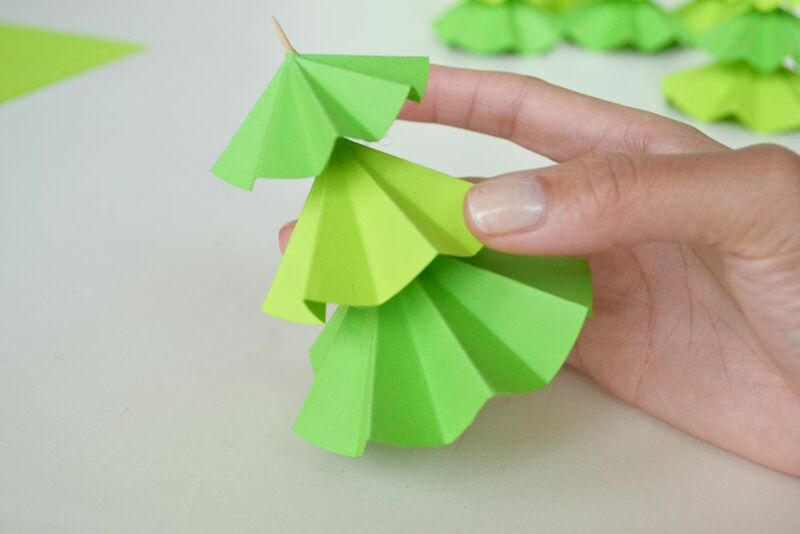 Serve on a tray, and you’ll have a miniature Christmas tree forest to display at your next holiday party!